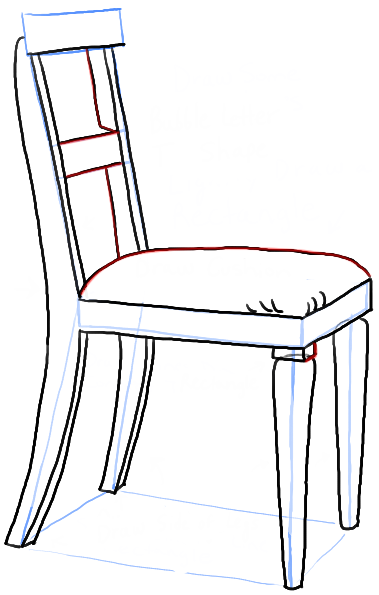 Today I am going to show you how to draw a dining room chair in the correct perspective. 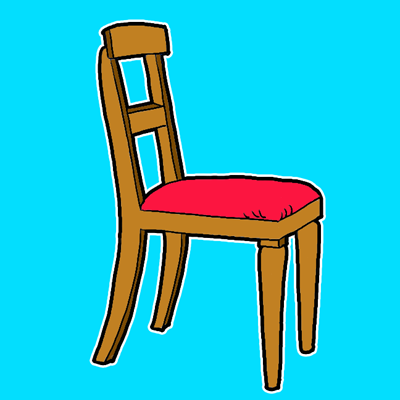 It is pretty easy to draw and one you learn how to draw this chair, other chairs and furniture should come easier to you. 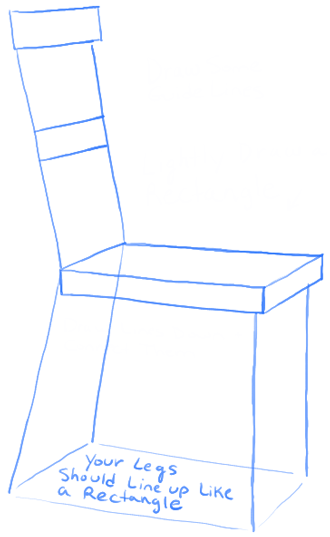 We will show you how to draw the chair with the following step by step drawing tutorial that guides you with simple shapes. 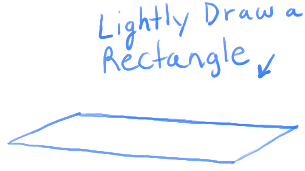 Draw a rectangle that looks like the one above. Make sure that the lines that are across from each other are parallel to each other. Draw a line down from 3 corners. Then draw 2 lines connecting them, as seen above. 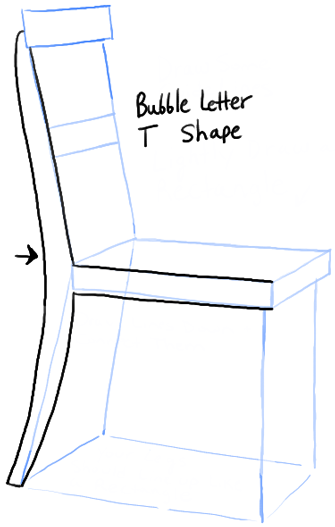 Now draw guidelines for the legs and back of the chair. Lightly draw a rectangle by connecting the bottoms of the legs. Do this just to make sure that they form a rectangle. 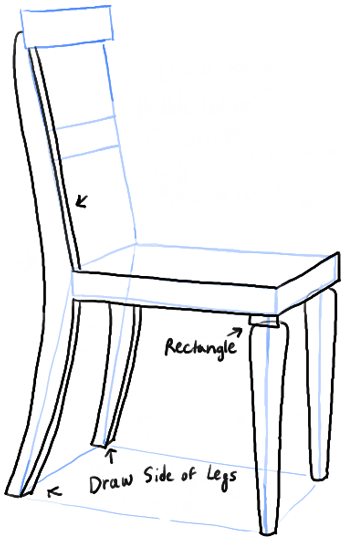 Also draw 2 rectangles on the back of the chair. 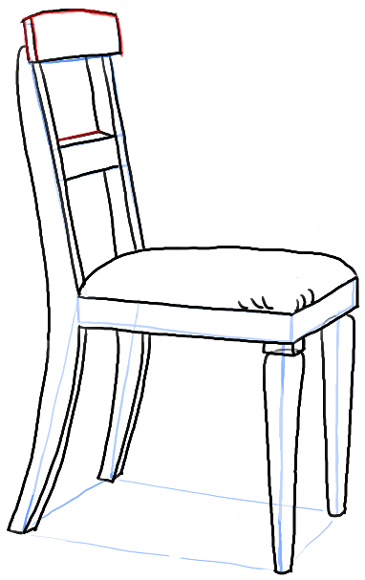 Use the guidelines that you drew in the 4 previous steps to draw the actual chair. Draw a sideways letter ‘T’ shape as seen above. 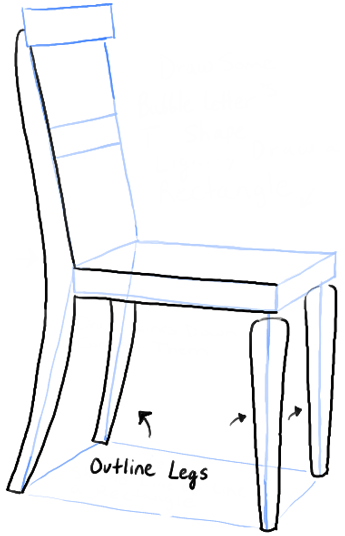 Now draw the legs of the chairs using the guides that you drew as a starting point. Draw the sides of the back legs. Also draw a rectangle at the top of one of the front legs. Draw the side of the rectangle on the front leg. Draw the cushion with a curved line. 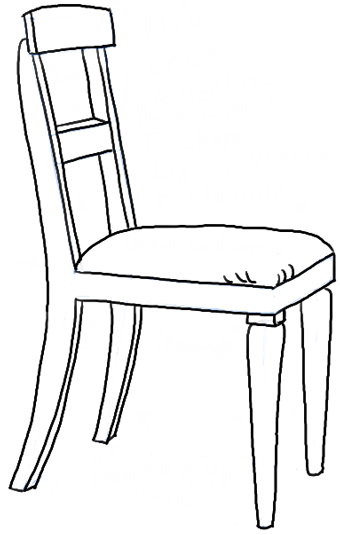 Also draw a few more lines on the back of the chair. Finish off the chair with a few more lines. Now erase the guidelines and make sure all of your lines have been drawn with a nice thick line. 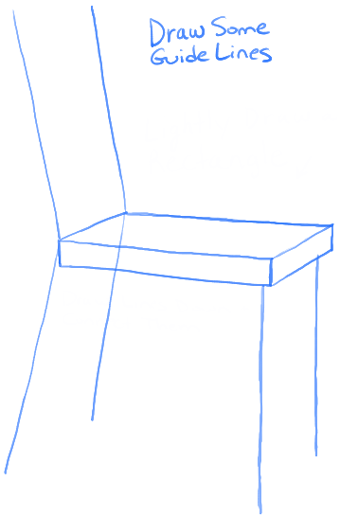 I hope that this tutorial helped you with your chair drawing. This chair is a perfect dining room chair to go with a table. I hope that you had fun! This article was written on 21 Jan 2014, and is filled under Things and Objects.